Aviva’s history can be traced all the way back to 1696 but, in terms of modern history, the company as we now know it was formed in the year 2000 with the merger of the insurance companies Norwich Union and CGU plc). Following the merger, the company kept the Norwich Union name for their British operations. Norwich Union continued to be used for all British operations until June 2009, when it became formally known as Aviva. ‘Aviva’ was chosen as the brand name as it is short and memorable, and is a made-up word derived from ‘viva’ – the Latin for ‘alive’. Aviva’s main areas of operations now are the general and life insurance markets as well as other financial products like investments and long-term savings. As a major car insurance company, Aviva’s car insurance products cover just about every policy need the standard UK motorist would need. First of all, they offer both comprehensive and third party, fire & theft (TPFT) cover – learn more about comprehensive and third party car insurance policies here. Pay you a cash amount of equal value. Any spare parts and/or vehicle components while these are either in/on your vehicle or in your private garage. The most Aviva will pay out is the market value of the vehicle at the time of the loss. Your vehicle is stolen and not recovered. The main policyholder (principal policyholder), main drivers (vehicle policyholders) or a partner becomes the first registered keeper of your vehicle, or the second registered keeper of your vehicle where your vehicle has been pre registered in the name of the manufacturer or supplying dealer, provided at the time of purchase the mileage was less than 250 miles. Vehicles sold as ‘ex demonstrators’ and ‘nearly new’ do not qualify for replacement under this section. Someone to come out and help. If your vehicle cannot be made roadworthy immediately it will be taken to our nearest approved repairer. Your vehicle can be taken to a repairer of your choice if this is nearer, but this may lead to delays in arranging the repairs to your vehicle. An additional excess will apply in addition to any other excesses under this policy if the repairer chosen is not one of our approved repairers. We do not provide a courtesy vehicle if the repairer chosen is not one of our approved repairers, even if the courtesy vehicle option is shown in your schedule. Transport home or completion of journey for the driver and passengers. The onward transmission of any messages on your behalf. Delivery of your vehicle back to your address in the territorial limits after the repairs have been carried out. In providing accident recovery assistance Aviva will use our reasonable care and skill when providing the service. 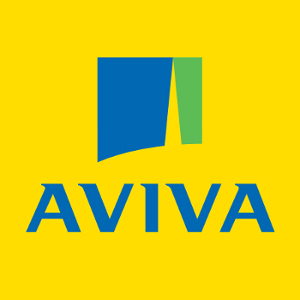 Aviva will pay the main policyholder (principal policyholder) or the main drivers of each vehicle (eg vehicle policyholder) (or, at their request, the owner) for loss of or damage to personal belongings caused by fire, theft or accidental means while the personal belongings are in or on your vehicle. Money, stamps, tickets, documents or securities (such as share and premium bond certificates). Goods or samples carried in connection with any trade or business. The car does not belong to that person or is not hired to that person under a hire purchase agreement. The main driver (vehicle policyholder) is driving the car with the owner’s express consent. The main driver (vehicle policyholder) still has your vehicle and it has not been damaged beyond cost effective repair. The main driver (vehicle policyholder) is aged 25 or above at inception or renewal of this policy. The Certificate of Motor Insurance indicates that the other main driver can drive such a car. Driving other vehicles cover is not available for named drivers, firms or main policyholders (principal policyholders) where they are not also named as a main user of your vehicle (eg Another policyholder). The cover provided whilst you are driving any other car is for Third Party only. As well as the standard 12 month car insurance policies, Aviva also offer temporary car insurance which can run from 1-28 days. Is Aviva on price comparison websites? No. Aviva is currently one of the most high profile car insurance providers who have chosen not to be included on price comparison websites like Confused.com and GoCompare. Aviva decided to remove their car insurance policies from price comparison websites in order to keep costs down and to make sure customers got the best deal by dealing directly with them, rather than a third party. How much does Aviva car insurance cost? As with all car insurers, the costs of premiums depend on a lot of factors that are specific to you. From the vehicle you are insuring and where it will be parked to how old you are, your occupation and your driving experience. As Aviva are not on comparison websites, though, you know the price you are given by them is the best possible price of an Aviva policy available to you. Aviva currently provide a starting price of car insurance starting from £169.00, and claim that 10% of their customers paid this amount for standard cover. They have also recently launched the Aviva Drive app, which offers the chance to save even more on the cost of car insurance by tracking how well you drive and giving premium discounts accordingly. The Aviva Drive app is a free app that tracks your driving, much like black box car insurance. After you have logged over 200 miles of driving on the app you will get a driver score out of 10, which is based on aspects like your cornering, acceleration and braking. Drivers who score 7.1 or over will be rewarded with insurance savings of an average of £170.